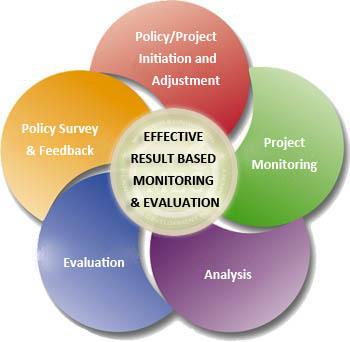 Monitoring and evaluation are essential quality management tools to keep a watch on progress of development schemes and to proactively raise an alert where interventions are required by the decision taking authorities. Not only the government benefits from this activity but so does the community for which these works are aimed at. Based on the in-dept knowledge and objective input of MEC, the Administrative Departments rectify or modify the designs and their activities for a more effective, efficient and better results in their respective works. Monitoring & Evaluation Cell is presently establishing an ADP Progress Monitoring Dashboard with the World Bank support to keep a closer eye on the progress of development schemes.